Purchase online in India ADG201A Quad SPST Switch at low price from DNA Technology, Nashik. 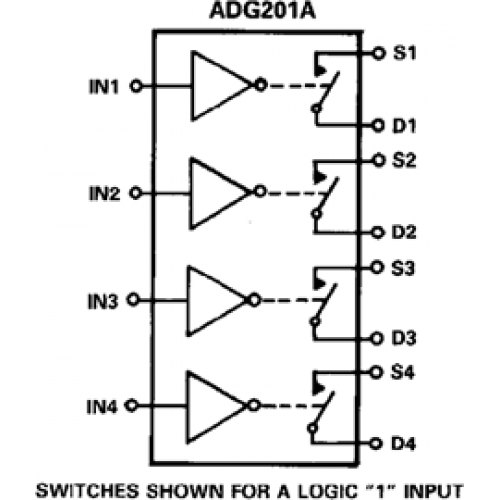 ADG201A is a monolithic CMOS device comprising four independently selectable switches. 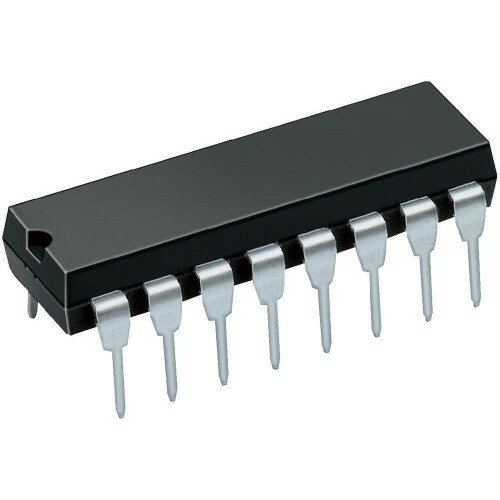 They are designed on an enhanced LC 2MOS process which gives an increased signal handling capability of ±15 V. These switches also feature high switching speeds and low RON. The ADG201A switches are turned on with a logic low on the appropriate control input. Each switch conducts equally well in both directions when ON and each has an input signal range that extends to the supplies. All switches exhibit break-before-make switching action for use in multiplexer applications. Inherent in the design is low charge injection for minimum transients when switching the digital inputs.